Puerto Rico is surrounded by scenic little islands, dotting the waters along the coastline. One such island is that of Isla de Ratones. Measuring about an acre in length, this island is located about ¼ mile off the west coast of Joyuda in Cabo Rojo, is packs quite the package for such a small place, coming with a boat dock, an untouched white sand beach, a roped-off swimming area and lovely roofed picnic pavilions with barbeque pits. Isla de Ratones can only be accessed via boat. Once you’re there, you’ll notice that there is something to do in every part of the island. The boat dock and the swimming beach are located to the south of the island. On the north side of the island, environmental groups have planted mangroves and installed artificial reefs to protect the island. The centre of the island is full of trees, which provide you with some shade in the sunny Puerto Rican afternoon. Once you’re on the swimming beach on the south side of Isla Ratones, you can go snorkelling as well. Before or after your visit to Isla Ratones, you can stop at one of the many seafood restaurants along Road 102 in Joyuda. 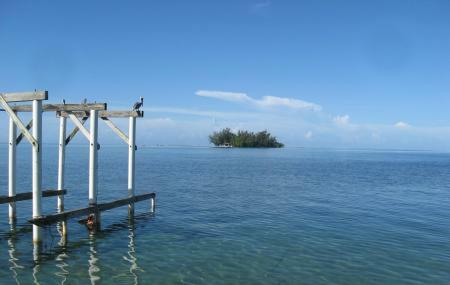 Isla de Ratones is one of the wonderful many small treasures that Puerto Rico boasts. Make the trip from Cabo Rojo to spend a truly magical evening there with family and friends. The best time to go to Isla de Ratones is during the winter months, when tourists are scarce and the beach is less crowded. Adventure Tourmarine runs a boat back and forth from Isla Ratones, and can be accessed quite easily. Parking is available for those who are visiting Isla de Ratones. If you go into the water, be careful not to step into the reef. Similarly, watch out for seaweed when snorkelling. How popular is Isla De Ratones? People normally club together Nouvelle D'spa and El Bohio while planning their visit to Isla De Ratones. Its not the best place to go if its not summer time.